A few days ago, Nintendo posted an interview with Splatoon producer Hisashi Nogami on its German YouTube page. An English version hasn’t been made available, but we do have a complete translation of the Q&A. 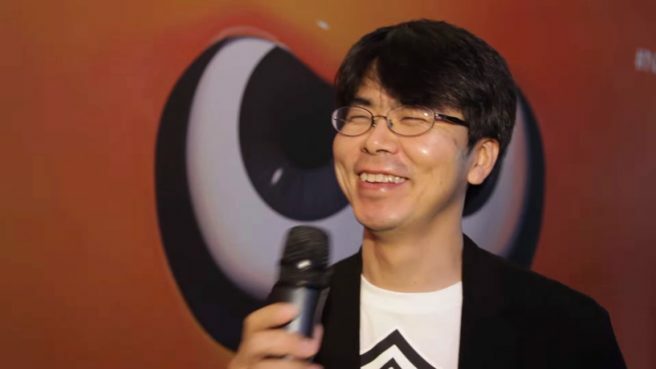 During the brief interview, Nogami touched on Splatoon’s reception, the competitive scene, and his preference of Callie or Marie. Head past the break for his full comments. Q: Are you 100% happy with Splatoon? If not, what could have been improved? Q: What does the future look like for Nintendo’s most successful shooter? A: As we’ve announced previously, there will be no more updates for Splatoon. However, we’re looking forward to other ways to continue supporting the game, such as the Splatoon tournament at Gamescom or the partnership with ESL. We’re very pleased with Splatoon and are happy that it has so many fans. As long as the fans continue to support the game, so will we. Q: What’s your opinion on the Splatoon competitive scene? A: Splatoon appeals to people of all ages, including families with young kids. We’re very happy about that. On the other hand, we also believe that the game has enough depth to be played competitively. We’re looking forward to watching the competitive scene grow in the future, with this tournament [at Gamescom] as a starting point. A: As a developer, the game’s characters are like children to me, so this is a very difficult question. It’s like asking which of my daughters I love more. However, I have to admit that I chose Team Callie during the last Splatfest. Unfortunately, that team lost. We’ve posted Nintendo’s interview below just in case you’re interested in viewing it. Again though, you won’t be able to understand much without looking at our translation – unless you know Japanese or German!